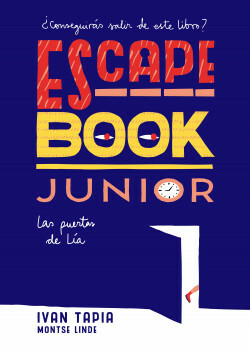 Lía is an apparently normal twelve-year-old girl but she has a secret ability that she doesn’t yet know how to control: she can get inside people’s heads and ‘open doors’. Today she found a mysterious note in her backpack telling her to come to a secret rendezvous using her door opening ability. Driven by curiosity, Lía follows the note’s instructions and discovers the Brotherhood of the Eye, a group of people who have the same power but who can control and develop it. They’re ready to share their knowledge with her if she proves her worth by solving a series of puzzles.